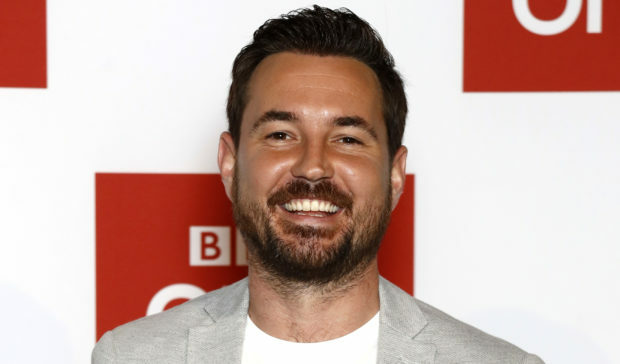 Line of Duty star Martin Compston says he’s won the jackpot after setting up home in Las Vegas. The actor has revealed his hopes of having children with American actress wife Tianna Chanel Flynn after the couple moved to Nevada. “When you’re married and are getting older your priorities change,” said Martin, 34, speaking to The Sunday Post ahead of the eagerly anticipated return of Line of Duty. “We’re getting to the point of maybe starting a family and your wife needs her family around her. “We’ve moved to Vegas and are two streets – I nearly said two blocks there – away from my mother-in-law. While Vegas is best known for the neon Strip, the glamorous hotels and the non-stop gambling action, Martin says that’s far from all it has to offer. And although he says that they do still hanker to eventually move back to Scotland, his life there is a world away from his early days in Greenock. “The Strip is the tourist trap, but Vegas is suburbia. A couple of million people live there and it’s so quiet. “I love it. The weather is great, obviously, and compared to Los Angeles and London you get so much more for your money. “I’ve never been flash with anything. I’ve never really spent my money or liked fancy cars, so we saved to hopefully get a bit of a dream home. “I wanted to get a place with a pool. It’s an incredible feeling when you’re from Greenock and you can get your family over to stay and you’ve got a swimming pool out your back. 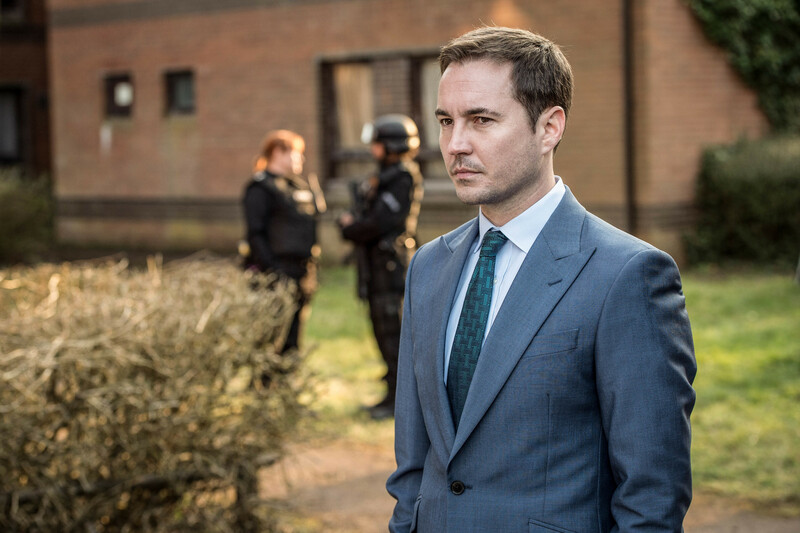 Moving closer to the family of Tianna – whom he wed at Mar Hall in Renfrewshire in 2016 – gives much-needed support as filming each series of Line of Duty takes Martin to Belfast for four months. And although co-stars Vicky McClure and Adrian Dunbar are great mates and they all have adjoining flats in the city, leaving Tianna at home is always difficult. “Anybody can relate that it’s tough being away from your missus for that long. “And I just wish I could explain to my pitbull King. He’s my wee best pal. I walk him three times a day and then suddenly you’re gone. “He genuinely hates my suitcase – he goes in a huff. He’ll sit and look away from me just to let me know he’s in a mood.” Tianna flew over for the latter part of shooting of the fifth series and welcome though it was, it had one downside. Martin stays in the accent constantly during the lengthy filming schedule in Belfast but Tianna’s visit saw him slip back to his natural Scots one this time. “We spent Christmas in Scotland and she came over two or three weeks before the end of filming. Although Martin says Line of Duty is the “job of a lifetime”, it was one he could easily have missed out on. He was due to play gangster Paul Ferris in The Wee Man when the opportunity to do the hit BBC drama came up. Only some shrewd scheduling changes allowed him to do both, but he still only got the part due to his convincing London accent. “Auditions can be murder. They’re terrifying. It’s hard when someone says you’ve to come in tomorrow and do an accent, but I was lucky because I was doing a film in a London accent anyway. “That was a huge help. I get great support from Scotland but people get a bit miffed about the accent. There has been a thread through the previous series of the sinister actions of balaclava-clad figures and Martin says that will continue this time around. 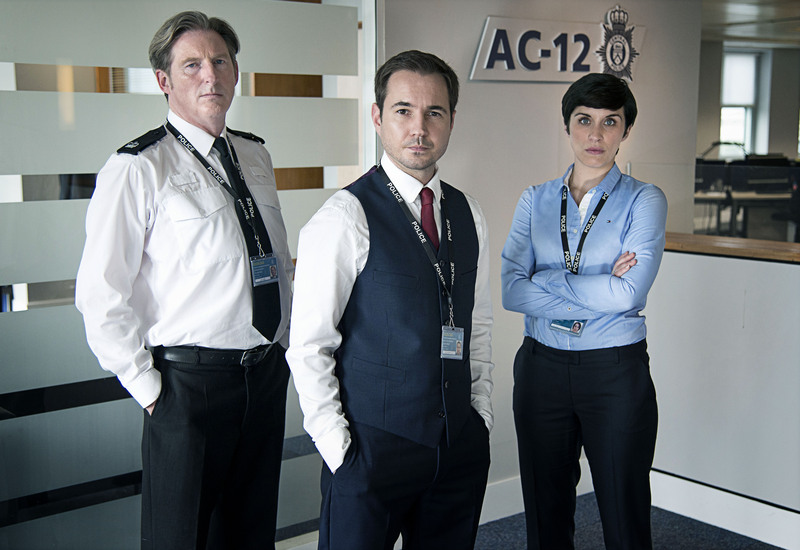 But the new series will see anti-corruption unit AC-12, headed by Adrian’s Superintendent Hastings, switch from focusing primarily on suspect officers to going after Stephen Graham’s big-time criminal. “He’s by far our most dangerous adversary,” said Martin. “And this year you’ll see behind the balaclava. It’s been two years since the last series as writer Jed Mercurio turned his attention to Bodyguard. But Martin reckons getting back into the accent – and donning Steve Arnott’s flashy waistcoat – was all it took to feel like he’d never been away. And he says almost dying in the last series was the best thing ever to happen to his character. Millions were on tenterhooks when Steve was thrown over a stairwell, with viewers fearing he was dead before he was revealed to be temporarily wheelchair-bound. He’s back on his feet in this series. “That was a huge point for me,” said Martin. “Steve had a bit of a chequered relationship with the audience and with Jed’s writing you can be rooting for the bad guy. “When I read it I called Jed and told him I was really nervous. I thought it wasn’t just that people might not care, they might even be happy. “But he said that this would be the moment that everything was going to change for him. You only need to see Bodyguard to see he knows how to play audiences to a T.
In fact, Martin feared an even worse fate may befall his copper with Mercurio regularly killing off key characters, continuing the trend by blowing up Keeley Hawes’ Home Secretary in Bodyguard. Martin and co-star Vicky were both filming other dramas in Glasgow when the scripts arrived and doubts about Steve’s future soon surfaced.